Jean-Pierre Morand graduated in law from the University of St-Gall (Hochschule). From 1984, he worked as a trainee and then associate at Baker & McKenzie New York and Geneva. He was admitted to the Geneva Bar in 1986. From 1988 to 1995 he worked for the Marc Biver Développement SA, a sports marketing agency, which became IMG Switzerland in 1993 . Having returned to the bar, he was a partner of Legrand, Morand & Partners until 2008. 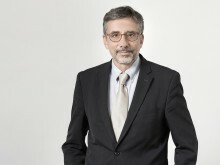 He joined Carrard & Associés in 2009. Jean-Pierre Morand specializes in corporate and sports law. He acts as counsel for international sporting federations and major event organisers. His services are regularly required in international arbitration proceedings, including before the Court of Arbitration for Sport (CAS). Jean-Pierre Morand is also a member of the board of directors for various Swiss companies. He is a member of the Swiss Arbitration Association (ASA) and the International Bar Association (IBA).